In case you’ve been in a coma or living under a rock in the past week, Eminem came out of literally nowhere and set the rap world on fire in a way he hasn’t in probably over a decade. Let’s put it this way, he’s pissed! And he calling out just about anybody and everybody from this current crop of SoundCloud rappers, to his own label signee Joe Budden, to music critics across the board. But especially the music critics, and just about anyone of note who s*it on his last album, Revival. I mean I didn’t have much of anything good to say about that objectively terrible misguided project but if that’s what it takes to get the Eminem Slim Shady that we got on Kamikaze, then please, by all means, trash this project too. Because this right here…this right here…is exactly why I’ve always considered Em to be one of the greatest MCs of all time. This was no holds barred Em and from the opening track alone he shows everyone just how lethal he is on a mic and the sharp, concise, and focused nature of the album makes this one of his most realized albums yet. No crossover nonsense, no exasperating politics, just pure fire! He had a clear goal when he set out to make this and he didn’t waste any time or lyrics in delivering on that goal and then some. Damn Em, you ain’t have to do them like that! Have you heard Kamikaze? What’d you think about it? Did Eminem bounce all the way back with this one? Is this the Em/Slim Shady you wanted to hear? Let me know in the comments below and be sure to leave your own ratings and reactions for the album. 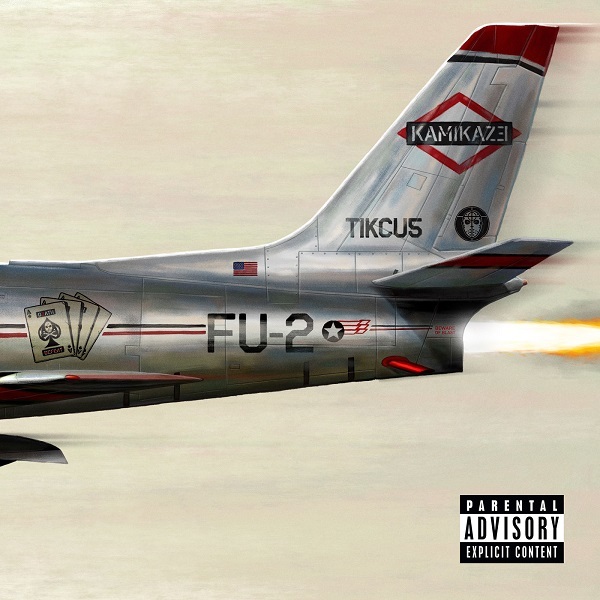 This was no holds barred Eminem and from the opening track alone he shows everyone just how lethal he is on a mic and the sharp, concise, and focused nature of the album makes this one of his most realized albums yet.